available in a selected area of the Cemetery. * Priced $2,200 per grave. 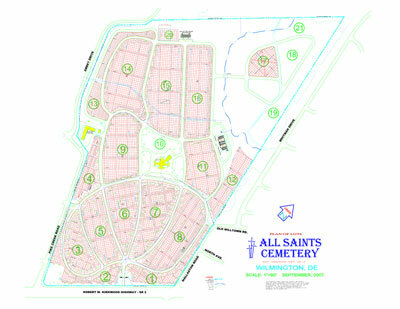 areas located throughout the Cemetery. * Prices begin at $1,700 per grave. * Prices begin at $875 per grave. * Prices begin at $4,600 per double-depth crypt or $6,042 with a companion memorial. 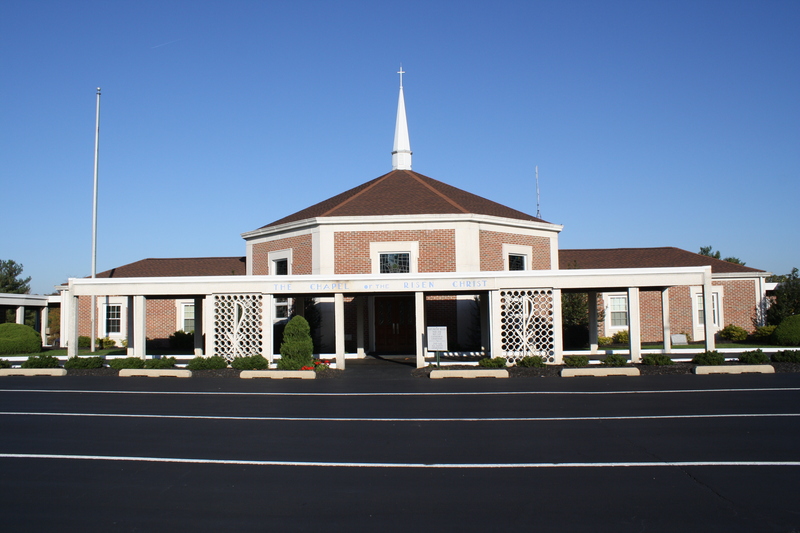 Above ground and in-ground options for cremated remains at reasonable cost. From I-95 North and South, take Exit 3 (273 West) toward Newark. After exiting, stay in right hand lane, go straight through the second traffic light, after the light exit right in approx. 1/4 mile onto ramp for Delaware Rt. 4 North. Follow to Harmony Road. Turn left on Harmony Road. Follow Harmony Road to Kirkwood Highway. Turn right on Kirkwood Highway. After the third traffic light, All Saints Cemetery is immediately to your left. Please enter by the main gate on Kirkwood Highway and exit through the Henderson Road Exit Gate.